Cooper said several Texas counties are under evacuation orders, although these are not mandatory. Governor Greg Abbott has issued disaster declarations for more than 30 counties. “Corpus Christi to Houston will get hit hard,” Cooper predicted. “Flooding is definitely the biggest concern.” A 28,000-square mile area could see 30 to 35 inches of rain. At ARRL Headquarters, the Emergency Preparedness Staff continues to keep a close watch on Harvey and on Amateur Radio Emergency Service preparations in Texas and neighboring states. ARRL staff has been coordinating with the American Red Cross; some 600 Red Cross Volunteers are en route to South Texas. W1AW has been in monitoring mode but will activate, if needed. The ARRL New Mexico Section remains on standby and has offered assistance, if needed. 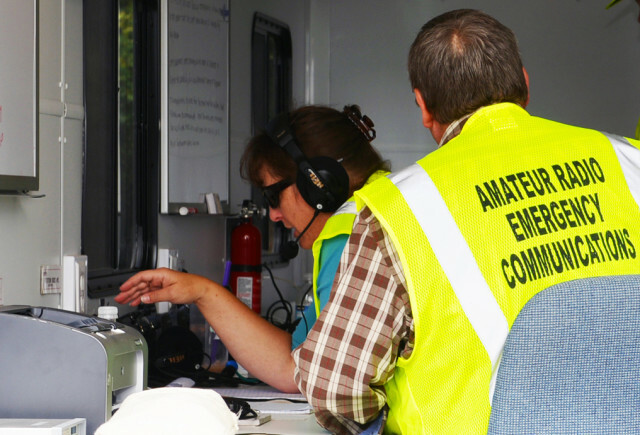 Mexico’s national association for Amateur Radio, FMRE, has offered assistance. As of this afternoon, nearly 100 evacuees were in seven open shelters. Another 50 shelter locations are on standby. ARRL Emergency Preparedness Manager Mike Corey, KI1U, reported today that it’s anticipated some 20,000 individuals will require sheltering for 4 days, and 10,000 will require sheltering for 14 days. “This is expected to be a long-haul event, up to 6 weeks,” he said in an afternoon update. As thing now stand, it’s possible that Harvey may retreat into the Gulf of Mexico after hitting Texas, regain strength, and the make a second landfall in Louisiana. That state is at a Level III activation. The impending storm has caused the cancellation of a special event related to Hurricane Katrina. The special event marking the 12th anniversary of Hurricane Katrina was set for this weekend with many 1 × 1 call signs planned to be active.